Down is a fantastic natural insulator because it&apos;s so light and lofty and traps air so effectively. Not so true if it gets wet. So Gill developed this sailing jacket with water-repellent down, so that when (rather than if) it gets wet, it continues to perform. 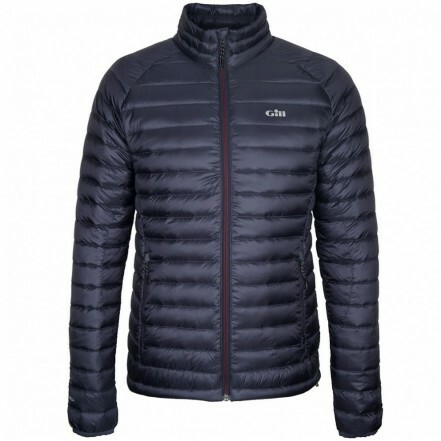 The outer shell is windproof and water-repellent and the 650 fill power down has a fantastic warmth to weight ratio, you&apos;ll be surprised just how warm and light it is.